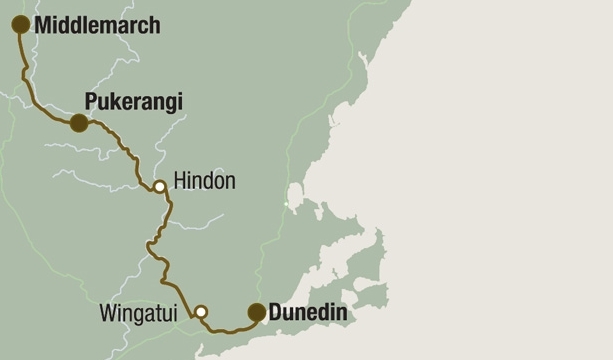 Afternoon journey Dunedin/Pukerangi/Dunedin – The Taieri Gorge Limited train is Dunedin’s prestige tourist train operating from the historic Railway Station. 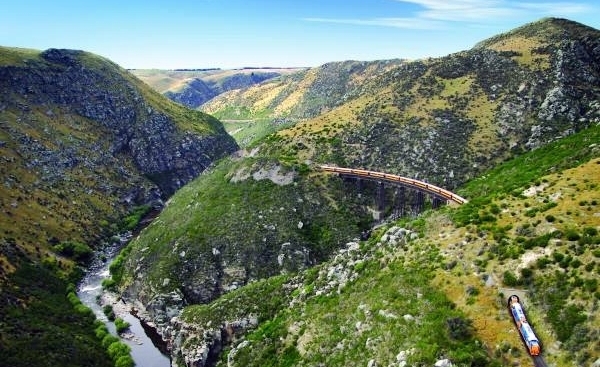 Departing daily (seats are limited on Christmas day) it takes you on a journey through the rugged and spectacular Taieri River Gorge, across wrought iron viaducts and through tunnels carved by hand more than 100 years ago. With full commentary, photographic stops and on board refreshments the train offers year round, all-weather entertainment. With full commentary, photographic stops and on board refreshments the train offers year round, all-weather entertainment. You can make the return journey to Pukerangi, or Middlemarch, or use the train as the one leg of your journey to or from Queenstown and Central Otago on our connecting ‘Track & Trail’ coach. Ask your Kiwiway consultant for more details. May to September – Train departs to Pukerangi daily at 12.30, except Fridays when it goes to Palmerston at 12.30.